When the root of a tooth becomes infected, it is a dental emergency that requires immediate attention to save the tooth. An infected root is usually very painful. 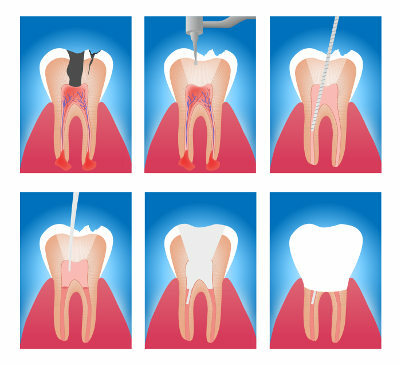 Root canal therapy is performed to eliminate the infection, clean out the tooth and seal off the area. A tooth that has received proper root canal treatment can last a lifetime, if the procedure is performed well. It is important that root canals are performed in a detailed and thorough manner, because additional infections can otherwise occur in the same tooth. 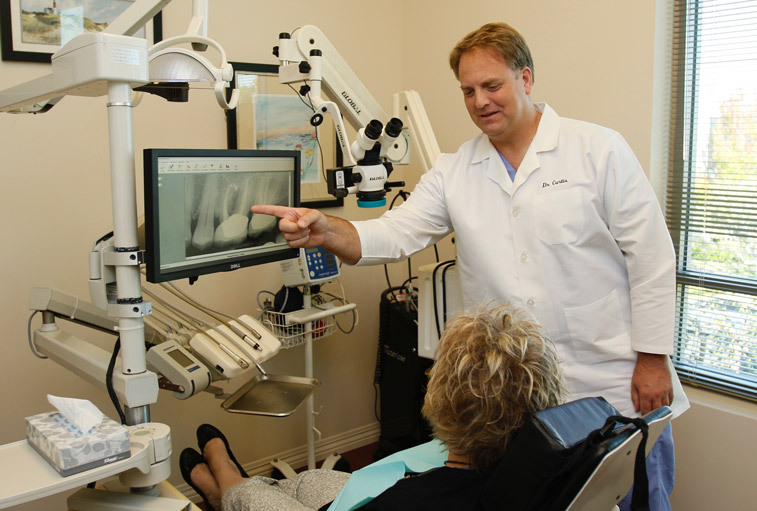 Dr. Curtis, our in-house endodontist, is a specialist in root canal treatment and uses the most advanced technology and equipment to provide state-of-the-art root canal therapy. 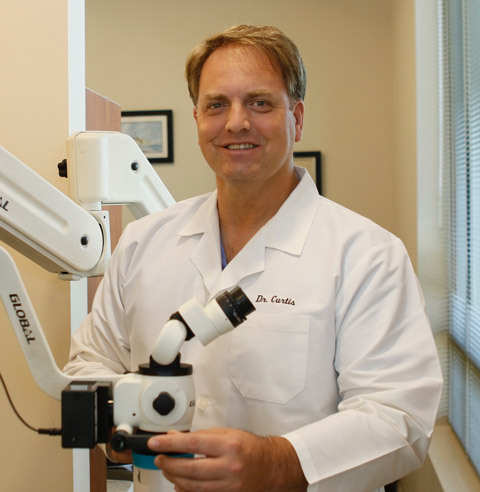 Dr. Curtis is a board-certified endodontist, skilled in the latest techniques and procedures of root canal treatment. After earning his degree as a general dentist, Dr. Curtis received four years of extensive training in root canal treatment. He is board-certified by the American Board of Endodontics, and has kept up with all the latest developments in his field. During root canal treatment, Dr. Curtis carefully removes the infection and cleans out the entire root canal (the inner part of the tooth that contains the nerve and the blood vessels). He is extremely thorough during this procedure, and ensures that all the bad bacteria are eliminated. When the canal is clean, Dr. Curtis fills it up with a rubber-like material called gutta-percha. This seals off the canal so new bacteria are not able to enter. A tooth that has received root canal treatment is no longer alive, and tends to dry out and become more brittle over time. To protect and strengthen the tooth, a crown is usually placed over the sealed canal. This way, the tooth can continue to function normally for a very long time—possibly even a lifetime. We can provide crowns in the same visit as your root canal treatment, using our in-office design and milling system. 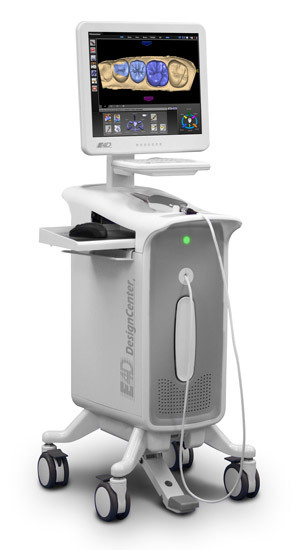 Dr. Curtis uses the latest technology to ensure efficient and thorough treatment. Instead of using hand instruments to clean out the canal (which can take a long time), he uses a gentle ultrasonic instrument that cleans out the tooth, thoroughly and efficiently. He also uses a dental microscope, so he can see every minute detail of the canal. Because our office has an in-house dental CAD/CAM machine, we can truly provide root canal treatment in one appointment. One of our doctors will design and mill your new, final crown while you wait, so you will not need to come back for another appointment. To make an appointment, call 949-288-2690 or click here to request an appointment online.